Mardi Gras season is here and that means it’s time for King Cake. Bakers from all across Louisiana will be baking their own version of the delicious treat. For the third year in a row, Mandeville-based Innovative Advertising will be sponsoring a contest to determine who bakes the best King Cake in Louisiana. There are special categories on both traditional and filled King Cakes. Today, King Cake Snob announced the launch of its third annual ranking competition, which will award the top traditional and filled King Cakes of 2018 from bakeries throughout Louisiana. 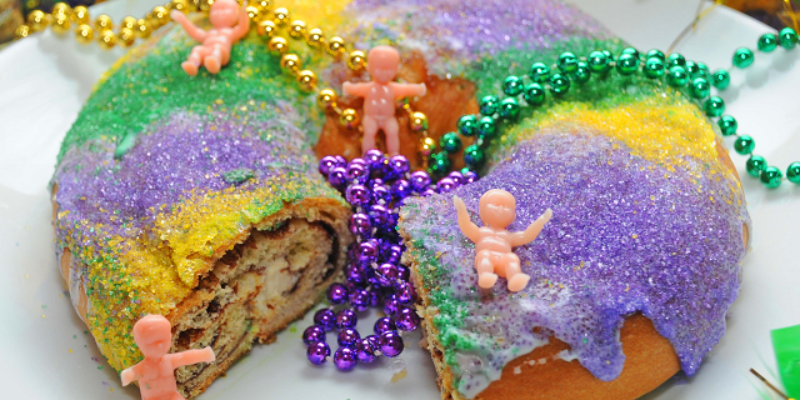 Louisianans from across the state can visit KingCakeSnob.com, the definitive online ranker for King Cake enthusiasts, today through Feb. 6 to cast their votes and watch as their favorite cakes rise through the ranks. Those who participate in voting are also automatically entered to win a weekly drawing for a free king cake. The 2017 competition resulted in reviews and votes for cakes from nearly 150 Louisiana bakeries, with Manny Randazzo King Cakes running away with the victory in four of the five categories, including the best overall “Traditional” and “Filled” cakes. King Cake Snob is a community project by Innovative Advertising, a Mandeville advertising agency that prides itself on its Louisiana roots. Every year King Cake Snob names not only the top King Cakes in the “Traditional” and “Filled” categories, but also utilizes voter questionnaires to reveal Louisianans preferences in filling types, how often they consume King Cakes during the carnival season and much more. To view the results of the 2017 and previous years’ competitions, visit KingCakeSnob.com. Previous Article AGUILLARD: Did Lamar White Fleece His Donors With The Bayou Brief?